In-depth lists of Football Manager 2016 best players, including wonderkids, top bargains, free agents and many more. Top 400+ most notable free agents when starting Football Manager 2016. Your reference point to finding the best free players in FM16. Almost 400 quality players listed for loan when starting Football Manager 2016 with our recommendation ratings. Part of the FM16 Best Players article series. Which Football Manager 2016 players have PA -9 and -10? Here's the full list of young talents with the best negative potential ability in FM16. Over 140 quality players with a reasonable minimum fee release clause when starting Football Manager 2016. Part of the FM16 Top Bargains article series. Over 1200 quality players you can get for a relatively cheap price on FM 2016. 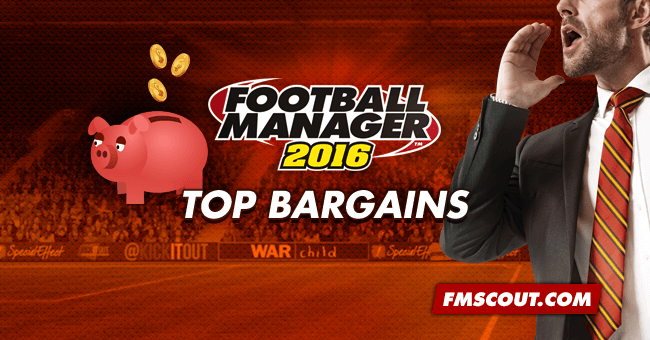 Part of the FM16 Top Bargains article series. The definitive list of Football Manager 2016 wonderkids featuring personal recommendation ratings, color-marked potential ability ranges, positional navigation and advanced live search. Handcrafted in Symi, Hellas. Page created in 0.529 seconds.